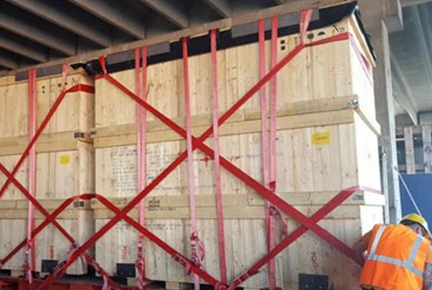 AAA’s packing division provides bespoke solutions, listening to customer requirements and designing the packing to the specific needs.AAA Freight Services is engaged in providing packing and crating of pre-shipment goods for both industrial and commercial, for different modes of transportations by Air, Sea and Land. We deliver on our promises with day-to-day activities that represent value for money, quality, continuity, innovation and maximum reach, offering services in specialized materials handling services, surface transportation, pipe / yard management, lashing & securing services, warehousing and (project) cargo management. The state-of-the-art facility reflects the fast growth of the company in the chemical logistics sector & our intention is to create centers of excellence and core competencies to deliver value-added services and technology solutions for customers & as-well-as opportunities to drive cost out of supply-chain. The portfolio of services extends towards DGR Packing, Custom build wooden boxes, crates & wooden pallets, on-site crating & lashing, heat treatment & fumigation, vacuum packing. Everyday is a new day for us and we work really hard to satisfy our costomer everywhere. www.aaafrt.com all rights reserved @ 2017.